Japan is a major economic power house that boasts being the world’s fourth largest importer, and exporter of products and goods. With three international free zones in place, foreign investors can choose between a number of options for Japan company registration. Through careful planning and research, many foreign investors have found Japan to be the ideal jurisdiction in which to setup a company, due to a variety of factors. Firstly, Japan is well known for its state of the art infrastructure, and high tech manufacturing capabilities that are far more advanced than in many other jurisdictions. Secondly, investments are secure in Japan, as LLC’s only require a minimum share capital of USD1 and there are no restrictions on repatriation of capital in Japan. There are many more advantages to setting up a business in Japan. Japan has become a strategic location for company incorporation, not just for the size of the economy but also its location within northern Asia. In 2012, Japan had a capital expenditure of USD2.5 trillion, thus providing many business opportunities for multinational firms. Company shareholders – A minimum of 1 person or company. There are no residency requirements and 100% local or foreign ownership is permitted. Company Director – A minimum of 1 person who is a Japanese national is required to fulfil registration requirements. A Japan resident secretary / representative is required in order to meet the incorporation requirements. Japan has 3 free zones offering companies no customs duties to be paid and flexible labour laws. Many investors use free zones as manufacturing facilities or distribution centres. 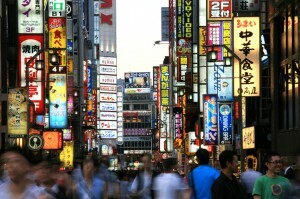 The Japanese company law states that a physical office space must be rented, and that virtual office will not suffice. Unless exempted, most types of companies are required to have an annual statutory audit. Japan has a high corporate tax rate of 30% on profits in the first 3 years of conducting business. Japan company law is complex and in Japanese so translation services are often required. The Japanese government tenders favour Japanese nationals. Renting an office space in Japan is expensive especially in the major cities. Healy Consultants Group PLC will be happy to answer any queries you have about setting up, and operating, a company in Japan. Drop us an email or give us a call at +65 6735 0120 for more information.